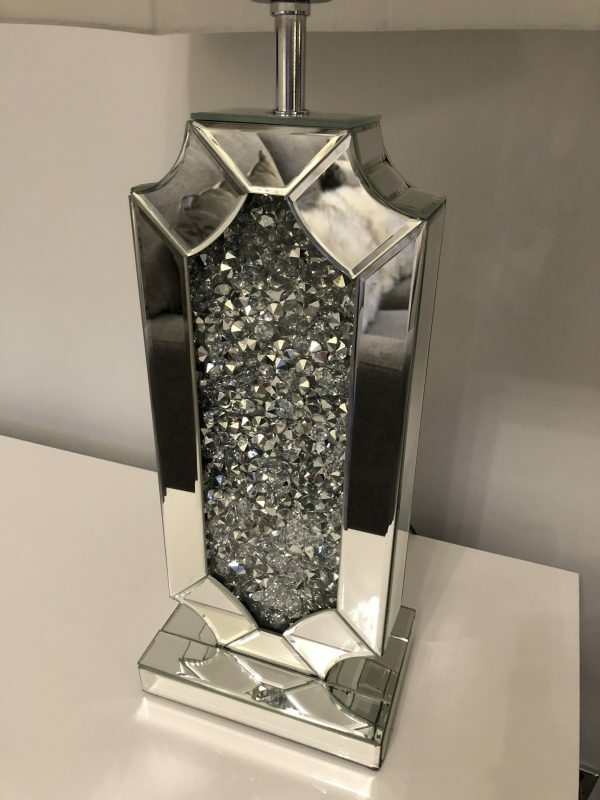 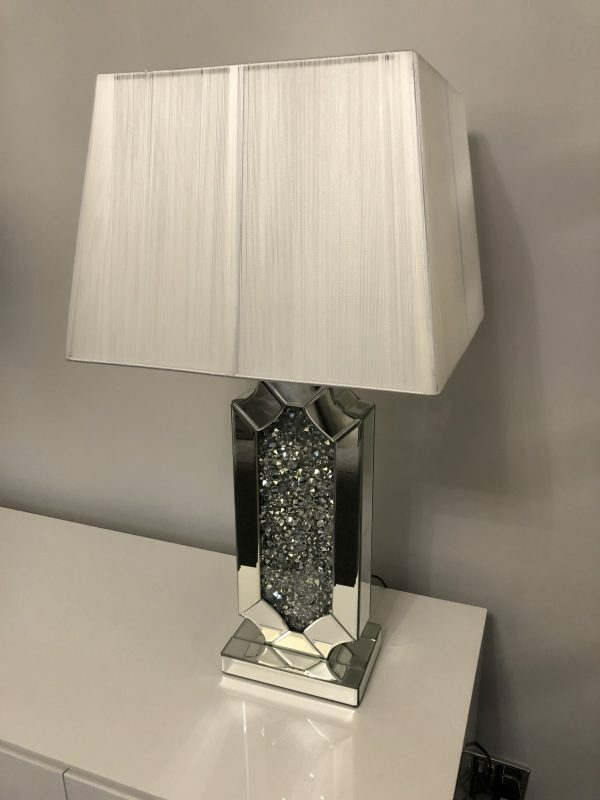 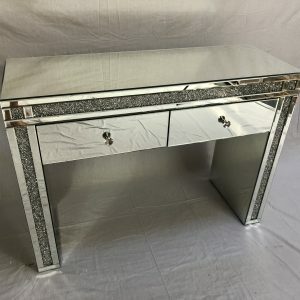 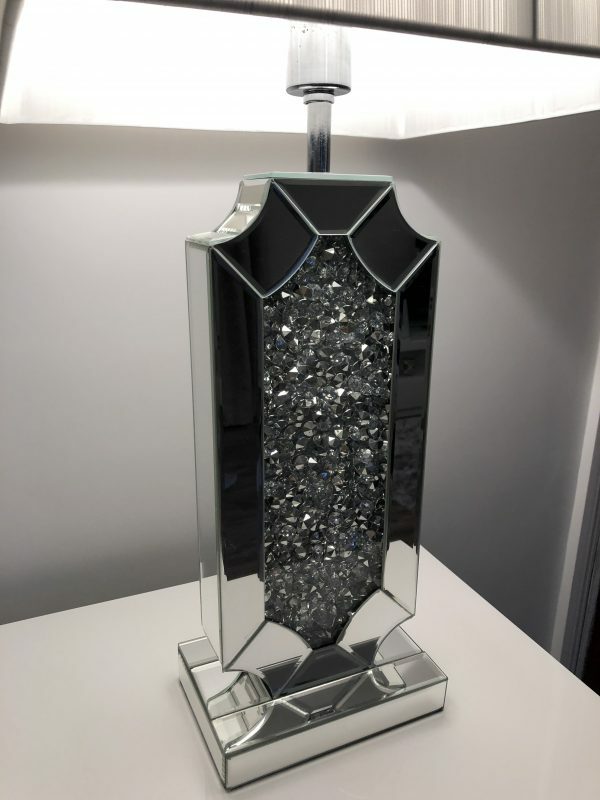 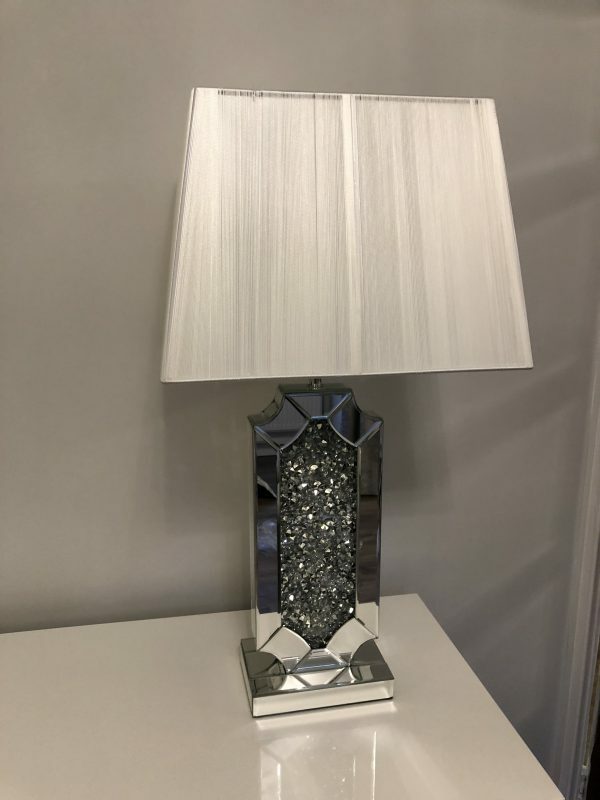 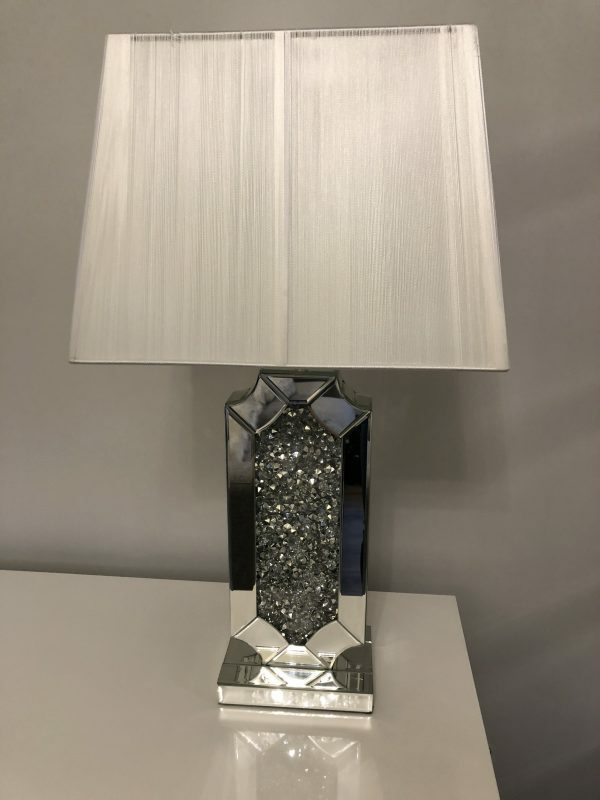 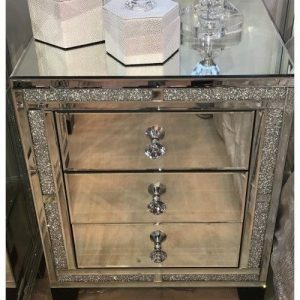 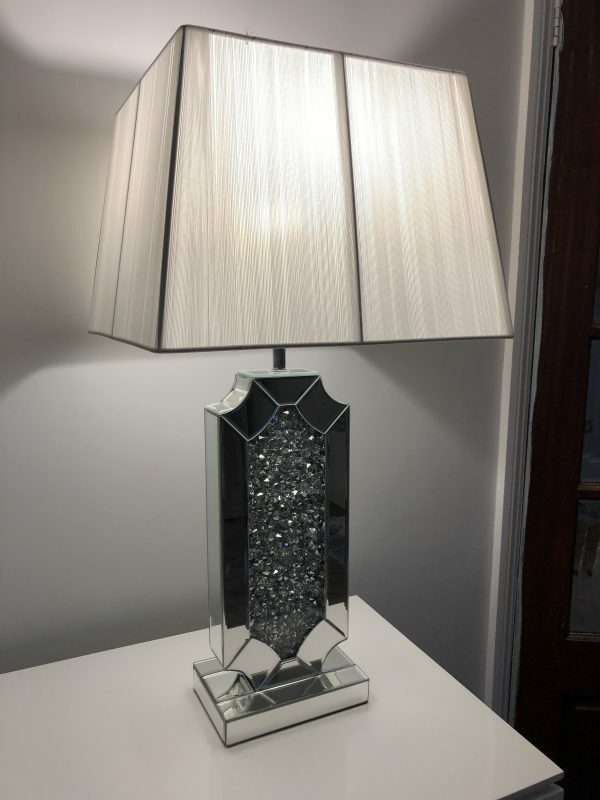 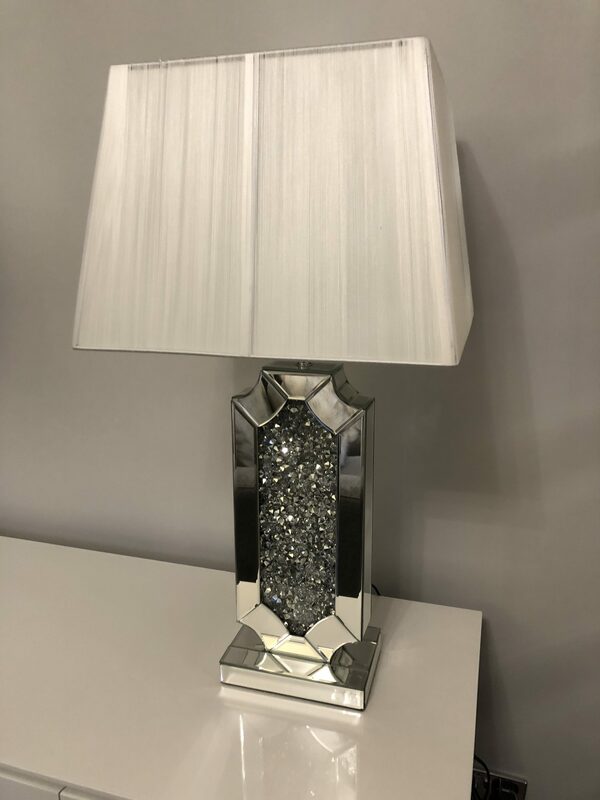 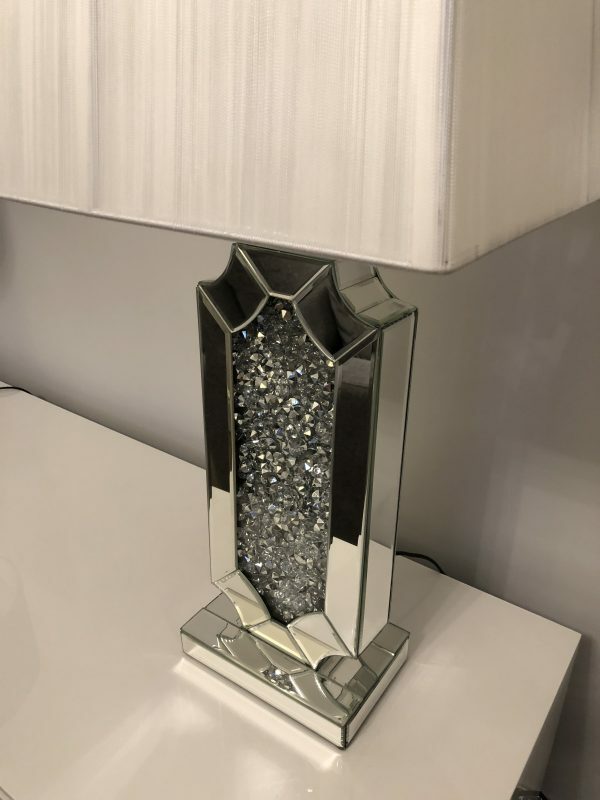 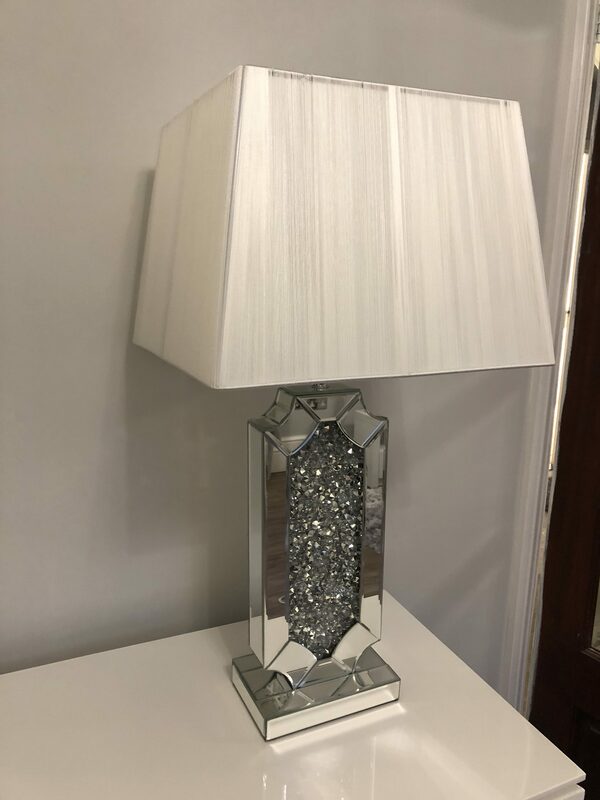 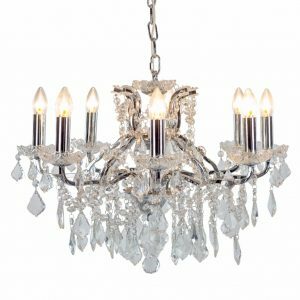 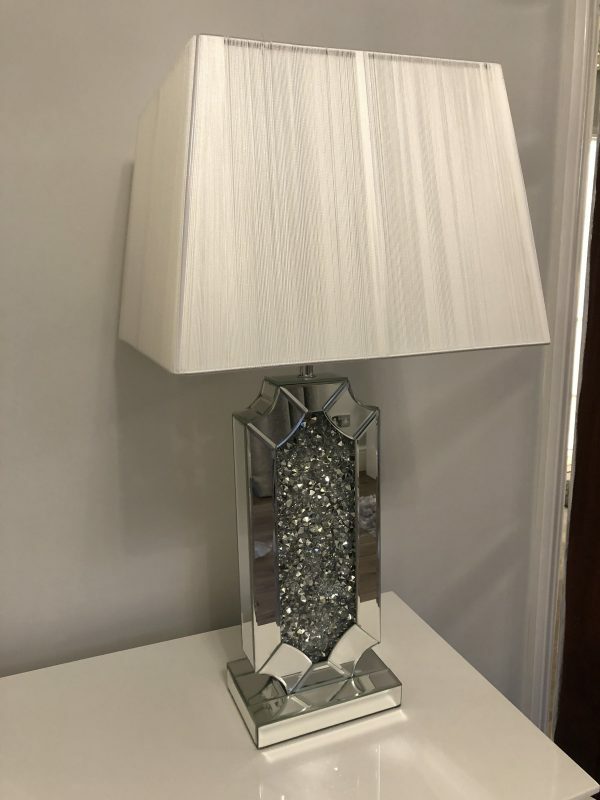 This stunning crushed diamond mirrored table lamp is a stylish twist on the classic lamp featuring a flatter stem with crushed diamonds in the front and back surrounded by curved and straight mirrored panels making a gorgeous unique shape. Black Shade included. 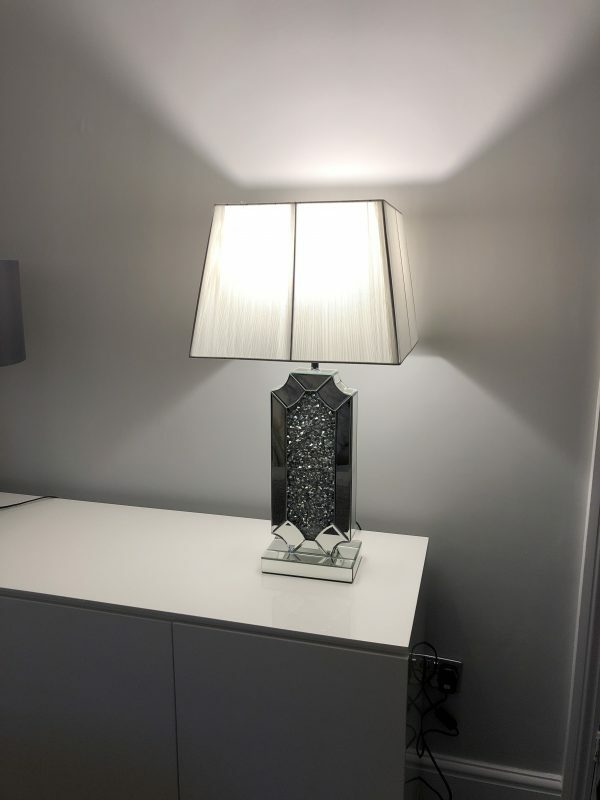 18.5cm x 13cm x 53cm.